The Nautilus adopts Lincoln's new mesh grille design that the brand has rolled out on four other recently redesigned vehicles. LOS ANGELES -- Say hello to the Lincoln Nautilus and goodbye to the brand's "MK" naming scheme that some customers still haven't deciphered after more than a decade. First to go is the MKX, which will become the Nautilus when the 2019 model reaches showrooms in the spring, officials with the luxury brand said Tuesday. The MKX, which is built at the Oakville Assembly Plant in Ontario, is Lincoln's top-selling nameplate in Canada and the United States. As Nautilus, it will get a new front end and new eight-speed transmission to better compete in the U.S. and China. Lincoln's transition back to conventional names -- strongly hinted at when it replaced the lowly MKS with the more stylish and plush Continental last year -- comes with the brand on pace to close out its fourth consecutive year of rising U.S. sales. Dropping the MK sets Lincoln apart from the luxury brand mainstream, where most automakers rely on alphabetical names such as the Mercedes-Benz CLA and Lexus IS or on alphanumeric names such as the BMW X1 and the Audi A3. It plans to rechristen the MKC small crossover and MKZ midsize sedan (originally called the Zephyr) when those vehicles get significant updates. 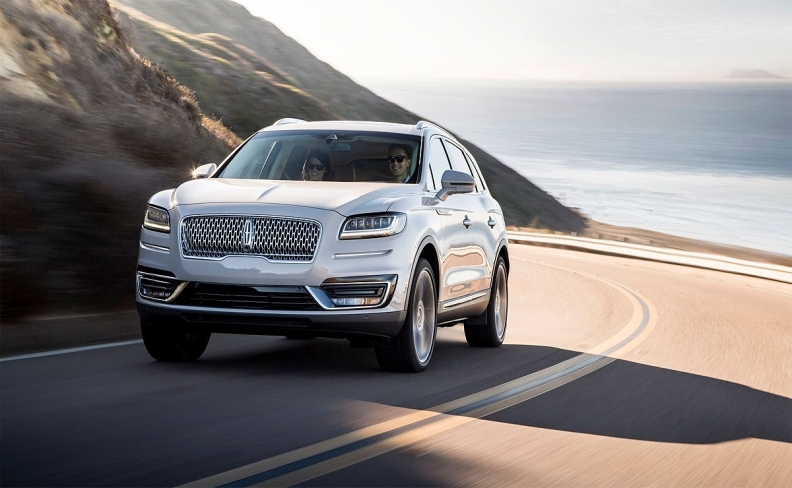 The slow-selling MKT is expected to be discontinued within a few years rather than renamed, and Lincoln is widely expected to fill that void with a large crossover called the Aviator. The Nautilus adopts Lincoln's new mesh grille design that the brand has rolled out on four other recently redesigned vehicles. But that's not the only change to the front end. 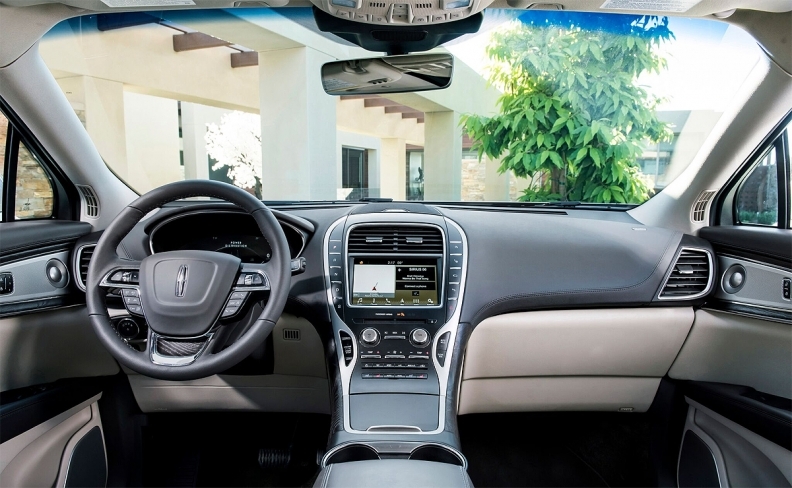 Everything from the A-pillar forward was redesigned, said Robert Parker, Lincoln's director of marketing, sales and service. "I think it wears the new face as good if not better than any vehicle we've launched it on," he said. Parker said the brand chose the name Nautilus, Latin for "sailor," because it fits well with the travel theme evoked by the Navigator SUV and Continental sedan. He said it also reflects Lincoln's journey -- a term executives have used to describe the brand's attempt to become a major luxury player. "There's a lot of challenge associated with the letters and putting those together," he said. "As we move forward, we need to be easier to work with. People associate names with cars a lot easier than they do letters." The Nautilus will come with a new standard 2.0-liter four-cylinder engine that gets 245 hp. The name and styling updates are aimed at helping Lincoln stand apart in the hotly contested U.S. midsize utility segment. 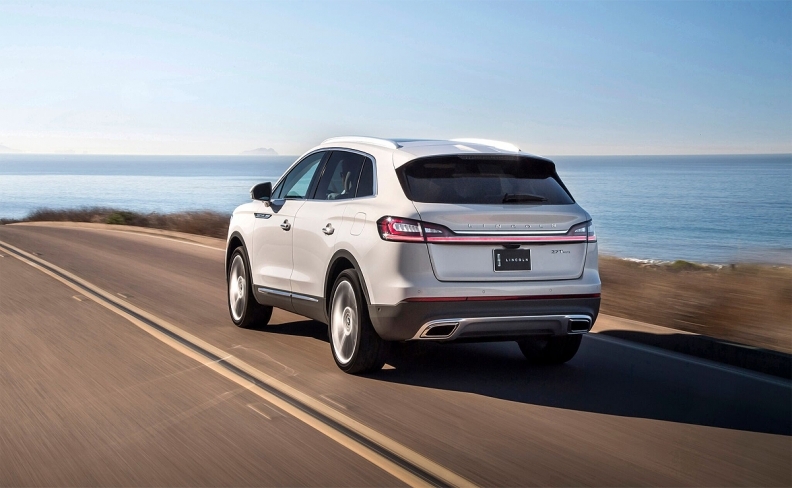 Last year, the brand sold more MKXs in the U.S. (30,967) than any other Lincoln vehicle. It's bringing in customers from rival brands with a 40 per cent conquest rate, executives say. MKX U.S. sales this year gained 1.8 per cent to 25,436 vehicles through October. The MKX was also the most popular Lincoln vehicle in Canada in 2016. The automaker sold 3,551 units last year, up 22 per cent from 2015. But, Canadian sales are down six per cent to 2,873 units through the first 10 months of 2017. It remains the most popular Lincoln in the country. The utility is also a vital vehicle for China, the world's largest auto market, where Lincoln expects utility vehicles to account for 70 per cent of sales by 2024. "SUVs are having a banner year for us both here and in China," Lincoln President Kumar Galhotra told reporters ahead of the auto show here. "It's a very vibrant market." The Nautilus will come with a new standard 2.0-litre four-cylinder engine that gets 245 hp and an optional 2.7-litre V-6 engine that gets 335 hp. Both will be paired with Ford Motor Co.'s new eight-speed automatic transmission. Auto stop-start comes standard on both engines. An all-wheel-drive version is optional. The SUV comes with a host of driver-assist technology, including pre-collision warning and blind-spot monitoring. The interior includes improvements that will give the Nautilus best-in-class legroom and headroom, which is a major factor for midsize utility customers, Parker said. It will come with a 22-position seat. The utility also comes with a host of driver-assist technology, including pre-collision warning and blind-spot monitoring. New for the 2019 model year is a feature called evasive steering, where the car will assist the driver by aggressively turning the wheel when the driver moves left or right to avoid a crash. "The technology in this vehicle is thoughtful and purposeful," Galhotra said. "We focused on bringing in innovative features to make each drive effortless for our clients." Lincoln did not disclose pricing details.